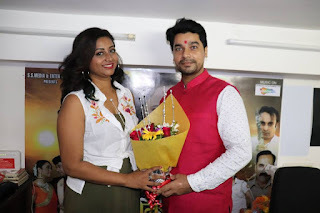 Khuddar is a Bhojpuri film released on 5th October 2018. Lead roles are Gunjan Singh, Anajana Singh, Nisha Dubey, Sanjay Pandey, Manoj Tiger and others. This movie is directed by Dinesh Yadav and produced by Deepak Shah. Location(s) Vrindavan studio in Gujarat.